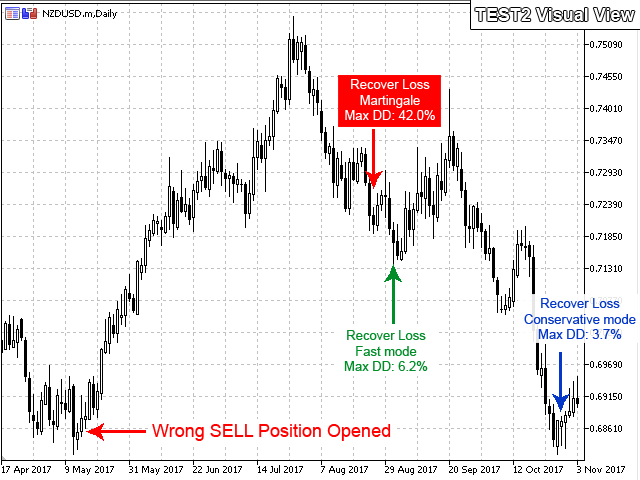 Loss Recovery1 is an Expert Advisor for recovering losses of positions that were opened in the wrong direction (that were opened by another EA or manually). 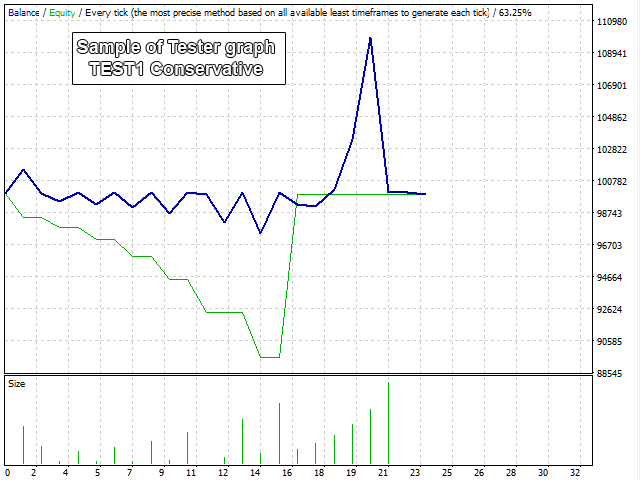 This EA recovers your loss and close your position without using dangerous martingale methods. 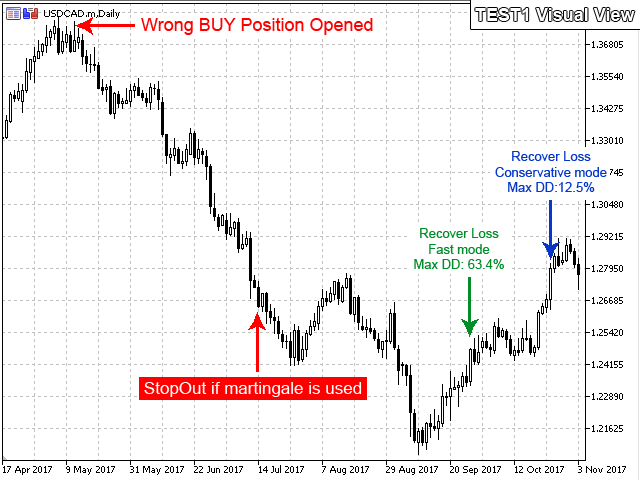 Loss Recover1 EA try to close wrong positions without any loss and without any profit (Recover Wrong Positions), by using mathematical methods and without using martingale methods. 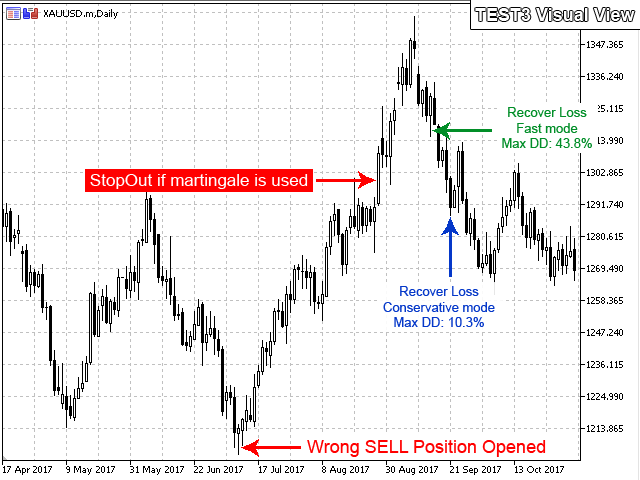 This EA places some positions in opposite direction and some positions in direction of wrong position and manage these positions with mathematical methods until recovering total loss of the position. Single Position With Specified Ticket : EA recover only in-loss position with ticket that specified in "In-Loss Position Ticket" field. All Positions With Loss Greater Than Specified Value : EA recover all positions with loss greater than "Distance to Start" field. Distance to Start: Distance in Points to start EA managing and recovering loss. Distance of Positions: Distance in Points to open next level positions. Volume Percent for In-Dir Positions: Volume Percent of Positions in same direction of wrong position. Volume Percent for Opp-Dir Positions: Volume Percent of Positions in opposite direction of wrong position. In-Loss Position Ticket [If Action=Single] : Ticket of existing wrong position. For testing the EA you must enter a position information in wrong direction. The EA open a position at time and volume and direction you entered and then start managing drawdown. Make sure that after position opened, market move in wrong direction. EA Action: Set to "Testing Mode"
Position will be opened in market price at time you specified on start date of your testing period. Test EA with large deposit and large volume. You can optimize EA by changing parameters : Distance to Start, Distance of Positions, Volume Percent for In-Dir Positions, Volume Percent for Opp-Dir Positions. Works best for positions with large volumes. (>0.1 lots). If your deposit is low, using cent or micro accounts is better. Any Time Frame can be used. You can continue your trading on your account. The EA manages your wrong position and own opened positions until recovering loss. Added support of multiple symbols and positions at same time. 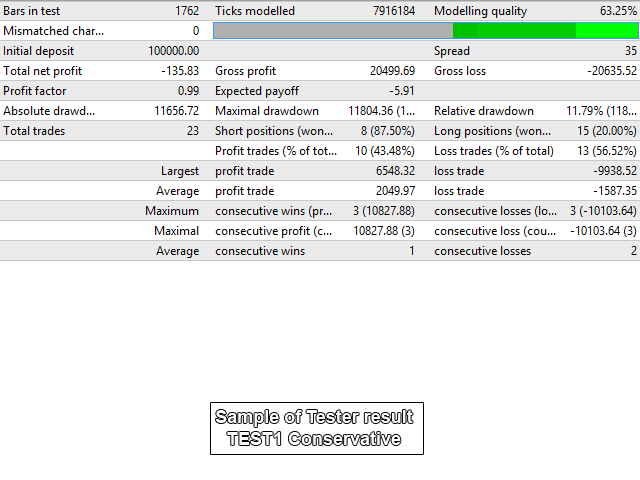 Now EA able to recover all positions with specified drawdown, Automatically.